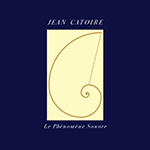 L'association Le Phénomène Sonore a édité un CD audio présentant ces deux œuvres de Jean Catoire. 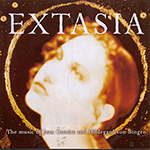 EXTASIA is a fascinating juxtaposition of the music of the 12th-century German Abbess, Hildegard of Bingen and the music of contemporary French composer Jean Catoire. Catoire's 'Requiem' is a setting of the traditional Latin Mass for the Dead. Interspersed between the movements of the 'Requiem' are antiphons and responses by Hildegard, as well as organ interludes and plainsong by Catoire.© Muze/MTS Inc. 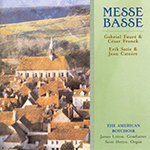 This album brings together some of the most beautiful sacred music from Paris written for treble voices over the past century. It is complemented by some wonderful and virtually unknown organ music by Gabriel Fauré and Erik Satie. Conducted by James Litton.